2. Sprinkle the sugar evenly over the base of the tin. Arrange the jackfruit on top of the sugar, I tore the fruit in half with my hands, make sure the base is filled with an even layer of fruit. 3. Roll out the marzipan using a dusting of icing sugar to stop it sticking to your work surface and pin. 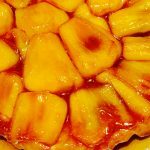 Use the base of the tin to cut out a circle of marzipan and place on top of the jackfruit. 4. Roll out the pastry to the size of the top of your tin, my tin has a lip so is slightly bigger than the base, so you have some pastry to tuck down the sides. 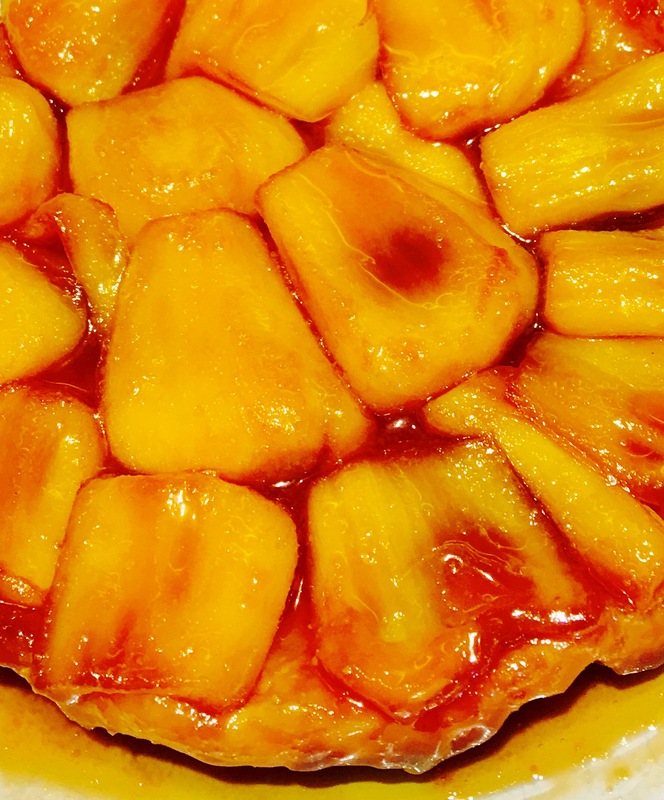 Lay the pastry on top of the marzipan and tuck the edges down the side of the jackfruit. Make a small cross in the top of the pastry to let the steam out.